French fries are among America’s most beloved comfort foods. Whether paired with a burger or loaded up with cheese, French fries are sometimes exactly what you’re craving. 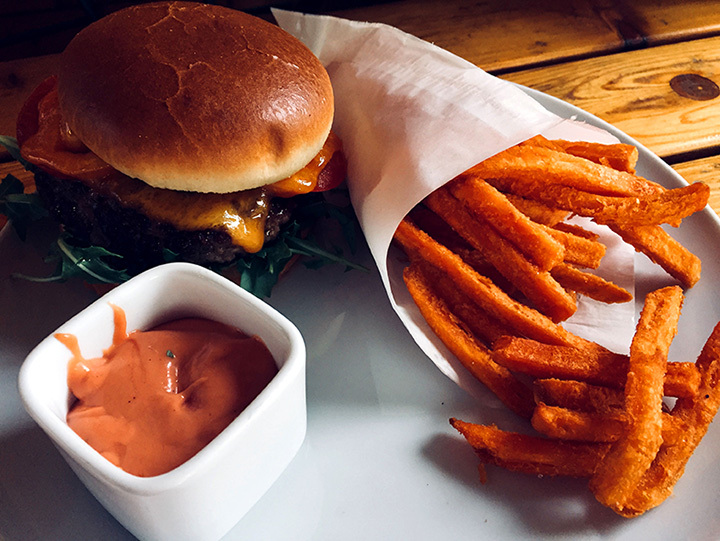 For mouthwatering options like sweet potato and chili cheese, check out these 10 awesome places for French fries in Kentucky! If you’re a burger lover, check out Better Burgers and More in Richmond. People talk about their huge burgers, and what goes better with burgers than a large plate of fries. Try the chili cheese fries for a special treat. Cobbler’s Café in Elizabethtown is about as American as you can get when it comes to serving great burgers and fries. Their better bacon cheeseburger goes perfectly with fries or the house made chips. And don’t even think about leaving without trying the dark chocolate brownie for dessert. If you’ve never had beer cheese fries, you’re in for a treat at Engine House Pizza Pub. This Winchester eatery is in an old firehouse built in 1885, and it’s worth a visit just to see it. They have craft beer and their chips and fries are hand cut and fresh daily. Hammerheads is one of Louisville’s hidden gems, and once you eat there, you’ll know why it has the reputation of having the best food around town. They have a variety of burgers and other sandwiches, and they can’t be beat for their unique take on fries. You can get them sweet and spicy, tossed in truffle oil, sprinkled with herbs and garlic, or fried in duck fat. It’s all good. Known throughout Lexington as a hot chicken place, Joella’s Hot Chicken lets you pick the level of heat for your food. Serving a nice selection of chicken and fixin’s, you can choose from eight different dipping sauces and sides include the popular parmesan garlic fries. If you’re not into meat, they even have a vegan chicken sandwich that’s great smothered in barbecue sauce. Burgers any way you want ‘em is the motto of this surprising little burger joint. The Station Burger Co. loves to make burgers that take your breath away, like the Arson Burger with loads of jalapeno peppers. And what goes good with a firehouse set-your-mouth-on-fire burger than the house-seasoned fresh cut fries? Your mouth will thank you. This place is so fun and laid-back that you can watch them do their burger magic on the grill. This is definitely one of the area’s best kept secrets, so get there quick and sample the beer cheeseburger and fresh fries. For delicious food in a casual setting, Home Café & Market Place in Bowling Green is a must stop. Get there early because the line goes out the door at this popular eatery that emphasizes not just good food, but spectacular food. You’ll be pleasantly surprised at the creative menu of every day common favorites like pizza and burgers, but when you combine either with a side of fries or one of the house made salads, you’ve got a real winner! Known for consistent service and great food, Fat Patty’s in Ashland extends the invitation to bite into one of their 20 specialty burgers and sandwiches in their casual dining atmosphere. Rated one of the top 51 burger joints in the country by USA Today, once you come here, you’ll wonder what took you so long. Try the Chubby Burger with a side of bacon cheddar fries. You don’t have to be looking into the sky to enjoy the Big Dipper. Owensboro, Kentucky is home to a great little burger and fries joint of the same name. If you love traditional burgers and sides, this is the place for you. Simple and non-assuming, it’s great comfort food. Easy on the wallet, too.